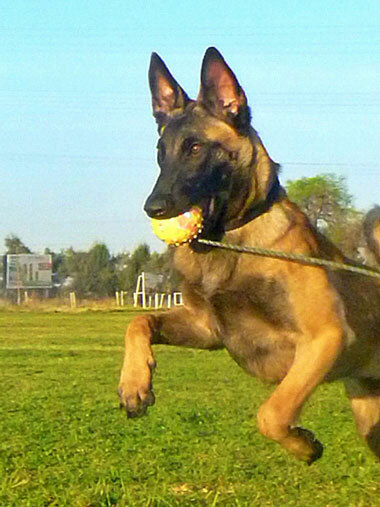 Dasha is an own daughter of Mecberger Duunari, IPO3 who has sired multiple dogs that competed in world trials. Dasha is a good size, strong female at 68 lbs. with incredible drive and focus. She is a gorgeous dark fawn body color with black chest, head and legs, and produces some very dark puppies when bred to a dark sable male like Miklins Bo. She is social and a pleasure to be around, always wanting to please. We expect her to cross on all our males very well. The sire of Dasha, Mecberger Duunari sired this years (2018) WMBB champion.